Posted on 02 June 2013. If you are planning to buy a Chihuahua puppy in the near future, or have acquired one recently, there are a couple of important things you should know about Chihuahua behaviour. If you what to expect, you can save yourself a lot of hassle and frustration later on. One of the most common behaviour characteristics of Chihuahuas, is the devotion and loyalty they have towards their owners. This is great if you live alone, or are part of a small household, but it can be troublesome when you socialise. You need to start getting your Chi used to other people from a young age, so that they are not perceived as a threat. It is not uncommon for Chihuahuas to become jealous of anyone who gets attention from their owners; this includes other animals. A jealous Chi will think nothing of taking on a much bigger dog in a territorial fight for your affection. While your Chi may be brave and foolhardy, he or she is definitely not “combat effective” against other dogs. 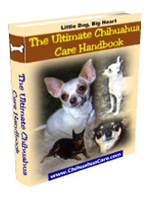 Your Chihuahua will naturally want to be at the head of your household. You need to keep reminding your Chi that you are in charge, and that members of your family rank higher in the “pack”. The negative behaviour that results from a Chihuahua’s attitude of superiority, is most evident with owners with owners who spoil their pets and literally drop everything to cater to every whim for them. On the subject of dropping, because yo will be carrying or holding your Chihuahua quite often, be aware of their tendency to launch themselves at other animals, or any perceived threats they may encounter. this happens without warning, and can easily result in broken bones for your Chi. Biting is something all puppies do, but Chihuahuas can become very problematic, if biting is allowed to go unchecked. One expert recommends that you replicate the way in which puppies are treated by their mothers in a litter. If your Chi puppy bites, make an exclamation of pain (even if it doesn’t really hurt) and nip your chi behind the neck. Replacement therapy also works, which means you give your Chihuahua a gift, such as a rubber toy to chew on and bite, instead of your hand. Chi’s are naturally curious and playful. If you spend long hours away from home, leaving your Chi alone, it is common for your Chi to become bored. Large bored dogs in big yards will dig holes or chew on fences, in the case of a house-bound Chi, your furniture, curtains, clothing and carpets could become potential targets for destruction. Chihuahuas become startled and nervous quite easily, so adopting a Chi when you have small children, is not a good idea. Children can actually harm a Chi without intending to do so, and some people’s children are just plain malicious, so be careful of kids around your Chi. 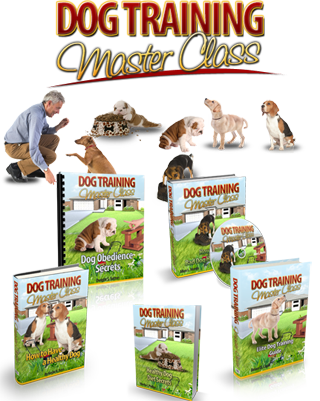 While many Chihuahua training tips are effective for correcting bad behaviour that is common the breed, some Chi’s are more problematic than others, due to hereditary traits. If a Chihuahua puppy has aggressive, anti-social parents, then it is very likely that the puppy will share those same traits, making your training job much more difficult. 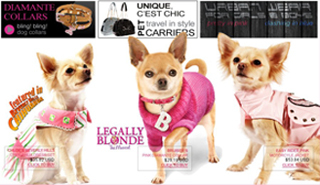 Reputable Chihuahua breeders ought to allow you to see what the mother is like. You can then gauge more less how your Chi puppy will behave.